"This could be the day when everything clicks..."
Minella Bobo cost connections £100,000 after winning on his sole start in points and he was a big eye-catcher on Rules debut in a bumper at Newbury earlier this month. He shaped much better than the bare result, looking the winner's biggest danger for a good way, until his effort flattened out inside the final two furlongs. 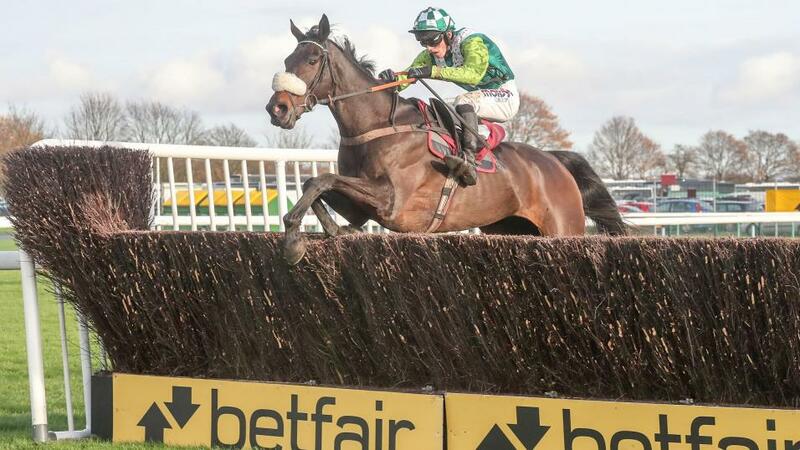 It is probably telling that he is quickly switched to hurdles and stepped up in trip, and with the ones with experience not setting an exacting standard, he is fancied to make a winning start in this sphere. Drumlee Watar showed plenty to work on at Chepstow last time and could prove the biggest danger. Dubh des Champs seems to be getting the hang of things now, taking a marked step forward upped in trip in first-time cheekpieces at Hexham earlier this month, making headway when not fluent at the last, and finishing with running left. This could be the day when everything clicks for Philip Kirby's upwardly-mobile six-year-old and he is one of the likelier types in this line-up. Roses Poses and Roo Roo are a couple others who remain open to improvement and are expected to pose the main dangers. Hereford-rivals Almost Gold and Neachells Bridge look set to come to the fore again. That race, in which they split a subsequent winner, didn't get to the bottom of Ian Williams' charge who was returning from eight months off, very much catching the eye, running on to be nearest the finish. Now 7 lb better off with that rival, he is fully expected to reverse the form, and rates the type who could rack up a sequence. Howth Summit could be the other interesting one.